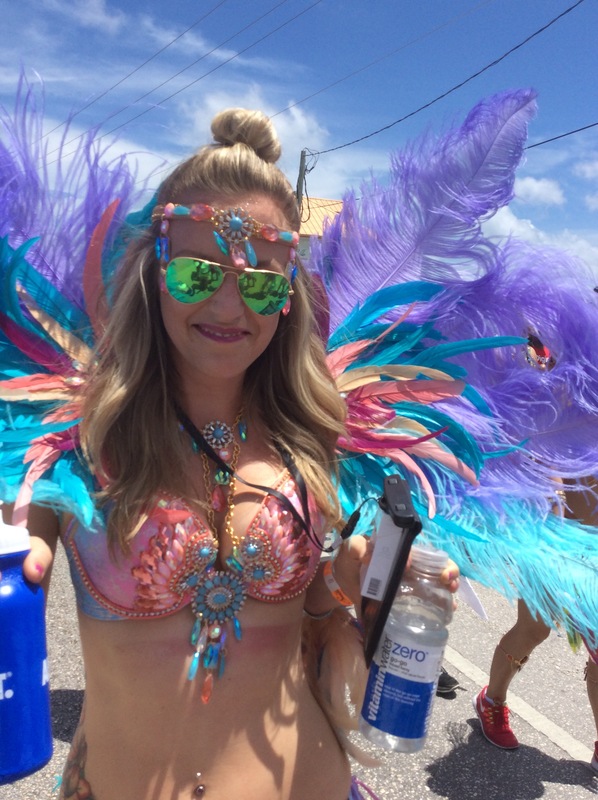 For the first time in its 35 years Carnival history the Cayman Islands hosted two different Carnivals on two consecutive weekends. 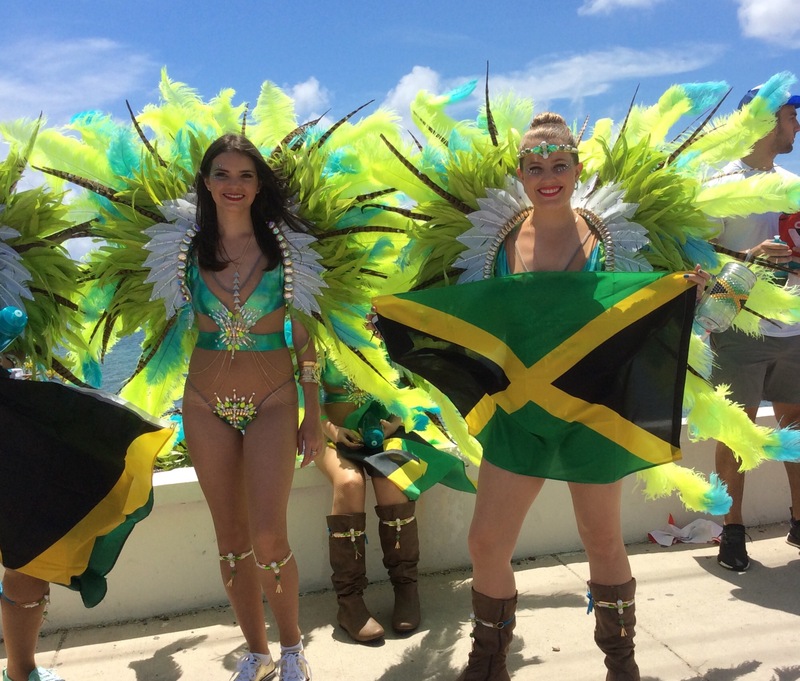 Batabano the original Cayman Carnival held theirs on Saturday May 6 and CayMas a breakaway troupe held theirs on May 13. Swanky International led the second parade. There were three bands as opposed to 5 in the first parade. Batabano derives its name from the tracks the turtles make when they go on shore to lay eggs. 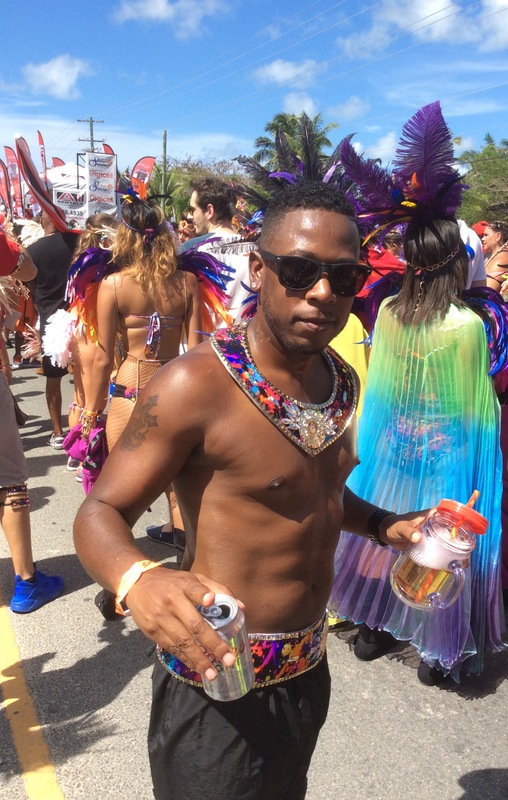 The reason for the split is reported to do with sponsorship as the two telecommunications companies on island, Digicel and Flow each sponsor the two biggest bands. 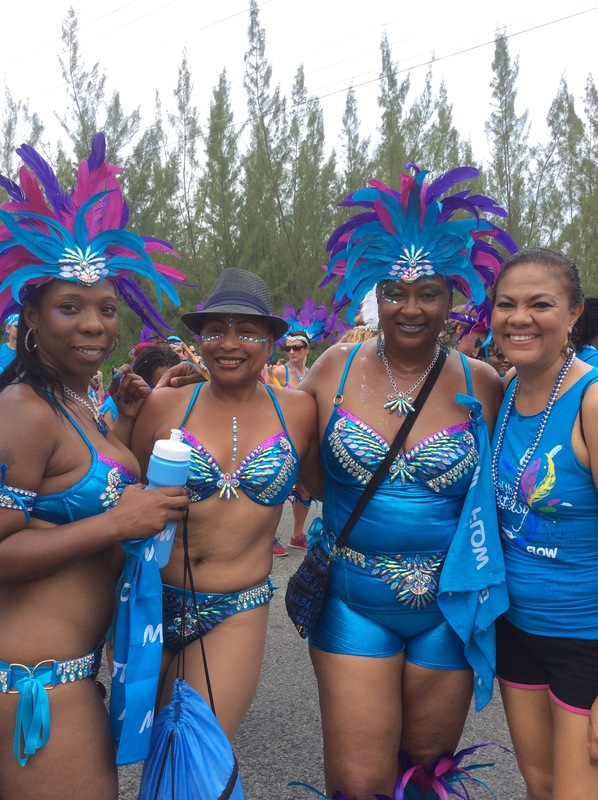 I took part in the first parade, Batabano and had great time chipping, jumping , waving and wining the 6 miles from Public Beach in West Bay to George Town the capital of the Cayman Islands. The parade started promptly at 1 p.m.
Spectators lined the parade route. 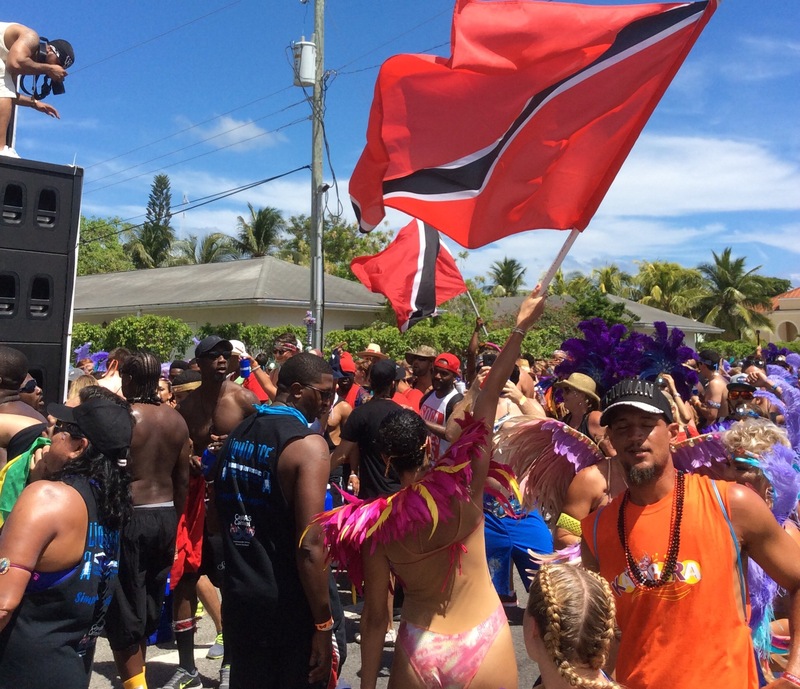 I was a spectator in the second parade albeit when I heard the sweet strains of soca and reggae I represented. 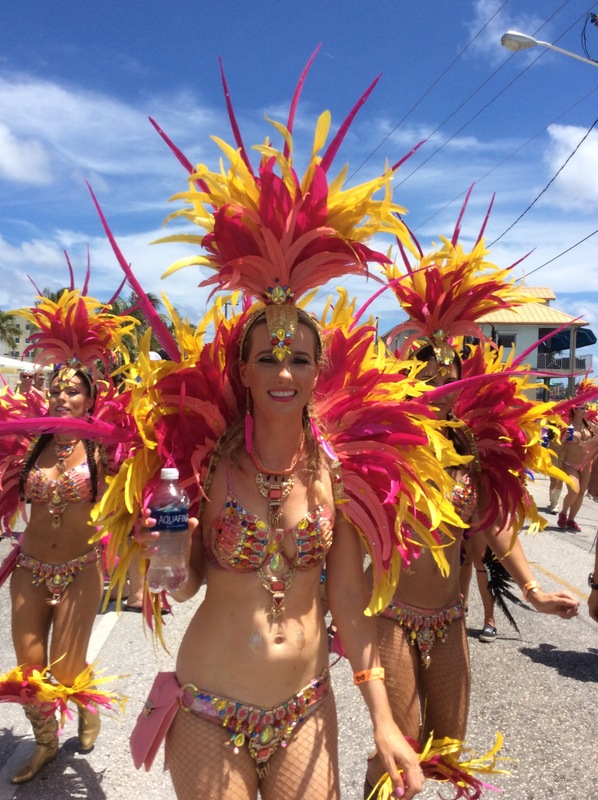 The second parade, CayMas went the opposite direction from George Town to Public Beach for the las lap. The mercury level was much higher. There were no judging points for CayMas. I noted quite a number of people doing it twice – it was so nice. In the coming weeks there will be much debate as to whether it made sense to have two parades especially as the lattter was much smaller and seemed quite disorganized. You would note that the costumes are mass produced and may be transplanted to any Carnival. I didn’t quite get the names of the themes the mas was supposed to portray not even for my band. The point is the masqueraders came out to have a good time with the tribe. 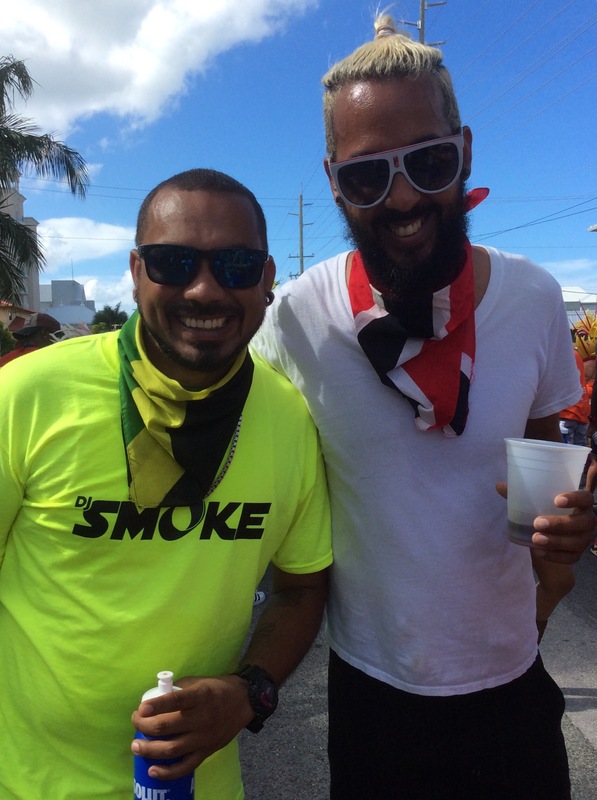 Regardless of whether one participated in Batabano or Caymas a good time was had by all after all that’s the effect of soca music. 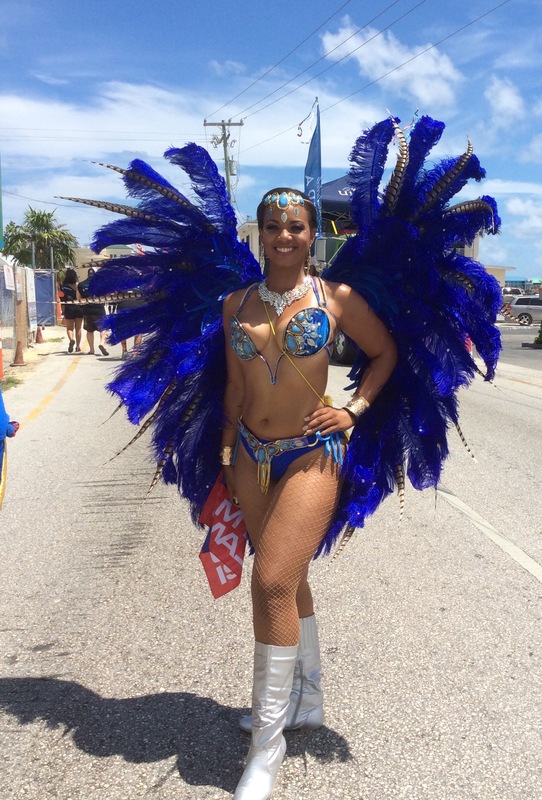 Glenda Jack is a Carnival veteran and has participated in Trinidad and Tobago, Toronto and Cayman Islands. 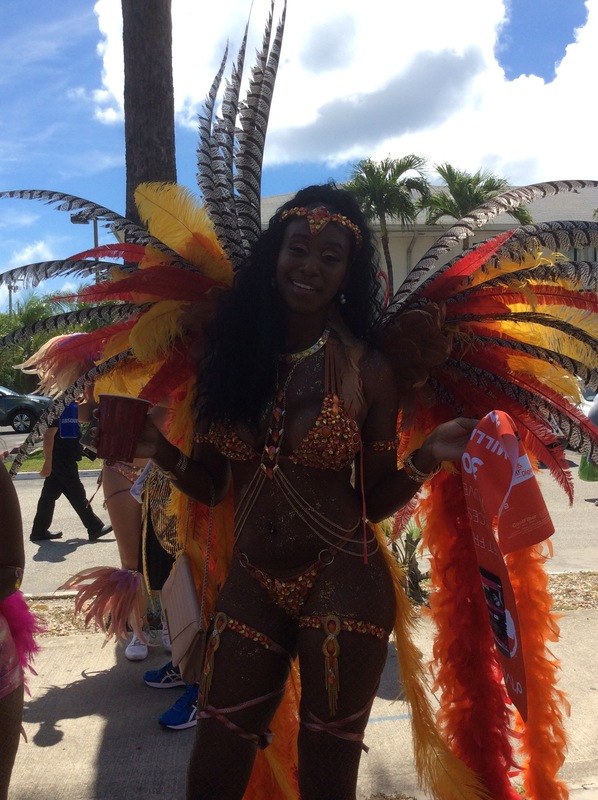 She still hopes to do a Carnival in Brazil and a few other Caribbean islands before she finally hangs up her costume.